1. Please don't power the camera directly by LiPo battery which can produce a lot of noises. We recommend you use FC 5V(1-3A)/PDB 5V(1-3A)/BEC 5V(1-3A) as the input source. 4. Change to another VTx. Some VTx is noisy in our test. 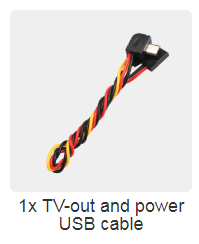 Pls check the link for reference: https://www.rcgroups.com/forums/showpost.php?p=38034969&postcount=543.You may also insulate the antenna which is conductive form the frame.